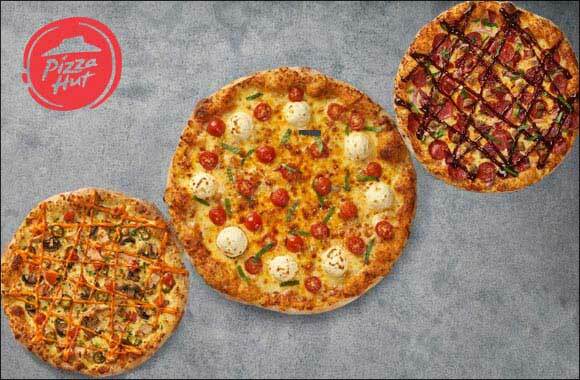 Dubai, UAE, 26 July 2018: Pizza Hut, the largest pizza restaurant company in the world, has launched its San Francisco (SFO) sourdough handcrafted pizzas for the first time in the world in the UAE. Served hot and fresh, the pizzas have a light, airy texture and a subtle sourdough flavour. The artisanal SFO pizza is the latest innovative offering from Pizza Hut that caters to diverse tastes and presents customers with a wide range of choice in the pizza segment. Each SFO sourdough handcrafted pizza is made to order, using fresh dough that is kneaded on a daily basis. Watch it being created HERE. The pizza is soft, filled with deliciousness in every bite and is available in three new toppings, including Meaty BBQ, Spicy Chicken Ranch, and Ultimate Cheese. This is in addition to the existing variety of toppings that complement the delicate flavour of the sourdough and create a sensory explosion with every bite. Given the tremendous popularity of pizza in the UAE, Pizza Hut is looking to capture a healthy market share – especially among customers looking for a new pizza experience. The SFO crust will be available across all 100 Pizza Hut stores in the UAE in small, medium and large sizes. Pizza Hut already enjoys a dominant position in the pizza category and a strong market penetration in the UAE – and the SFO dough is expected to cement this position in the coming years.